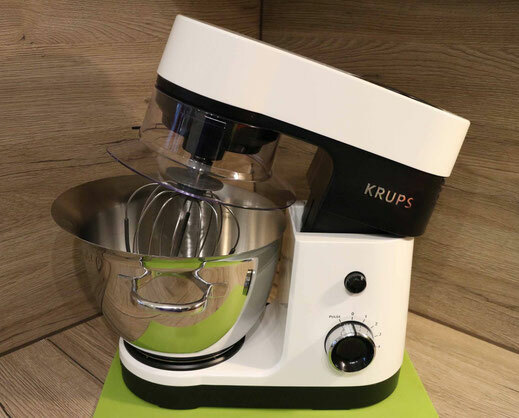 After thinking for a long time I decided some time ago on the the Krups KA3032 stand mixer and I'm completely satisfied with it's performance. I have no complaints and it never dissapointed me. The easter bunny brought me this great present. 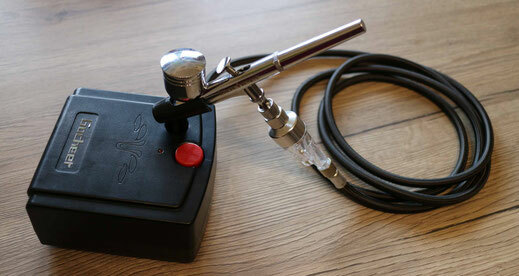 I thought already for a long time about buying an airbrush set and have to admit I should have done it earlier. I'm completely happy with the Airbrush Set from Gocheer and can just recommend it to everybody who wants to create unique cakes and cupcakes. It's super easy so just try it out. Who loves to bake know how the kitchen looks afterwards. Since a few month I have this little guy to make my life in this regards a little easier. I still have to clean the kitchen myself but he is doing the vacuum cleaning for me. I thought some time about which model I want and decided for this Roomba. 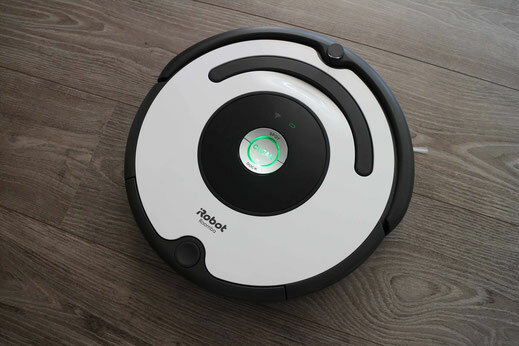 Before I had another, cheaper model but the Roomba is doing a great job for its price. My blender is not in use for every baking action but I wouldn't want to miss it. I didn't have one for a long time as we don't have so much space but with it's little measuring cup it's perfect for smaller amounts of fluid ingredients. The glas blow is very robust and can be easily disassembled to put in the dishwasher. It even has an ice crusher function which is perfect to mix frozen fruits for cakes or cupcakes. Also smoothies or ice creme can be made with this function. We have it now since summer 2017 and we can't detect any issues yet. 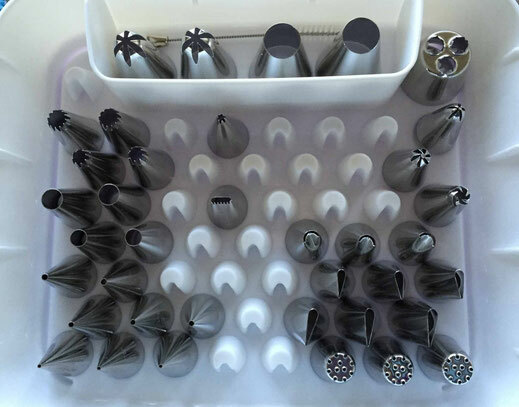 Every Hobby baker needs a piping tip set. I have collected my tips over some time but now it's also possible to buy the whole set. If you create cupcakes or cakes you will always have the right tip available. Without my pantry I would be totaly lost. It is always about one cake pan to small but you can find nearly everything what a baker desires in there. I have a lot fun with my sprinkel collection, cupcake liners, cookie cutters und baking pans. 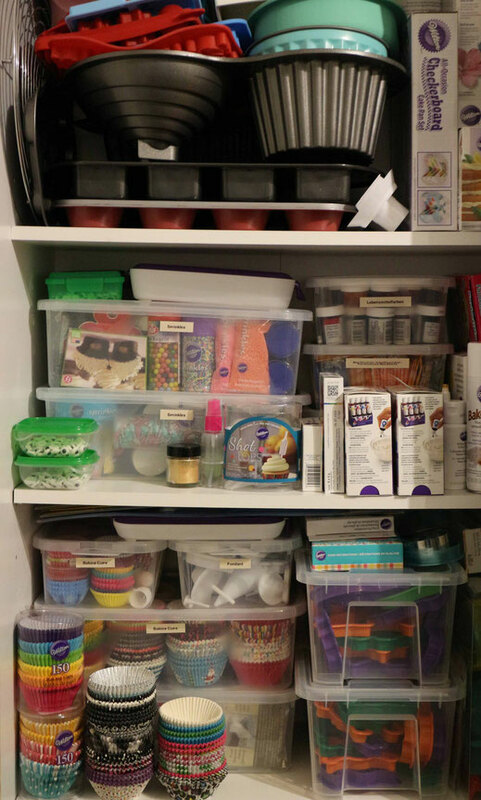 I also don't want to miss my food colors, piping bags and Fondant accessories.